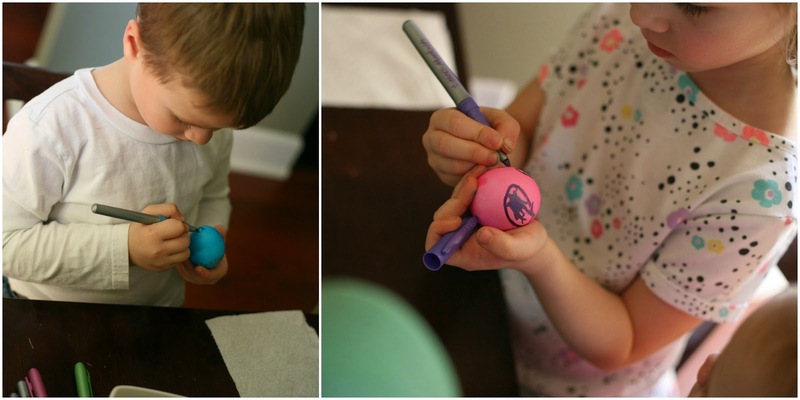 Every spring we do the same thing- decorate Easter eggs. As a mama, it can get a little monotonous, a little same-ol', same-ol'. When I was searching for ideas to make this year a little different, I came across the idea of metallic Easter eggs. 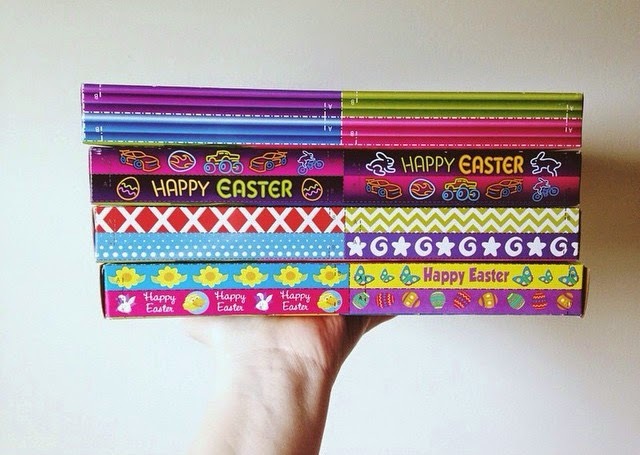 They are creative, easy, and perfect for my three older kiddos (7, 5, and 2). So, when my PAAS Easter decorating kits arrived at my doorstep, the kids were ready to dig right in! One of my least favorite parts of egg dying is filling the dye cups. I know, totally lame, huh? I am probably the only person who dislikes measuring out the vinegar and reading the directions for each color, but this year, PAAS made it super easy on me. They now have these dye cups with the color tabs secured to the bottom of the dye cup and handy-dandy little lines on the side so you know how much vinegar and water to put in each cup. I will forever purchase these cups. Period. So, for all you egg dying first-timers (are there any of you out there?? ), you begin by hard boiling your eggs and then letting them cool in the fridge before you dye them. 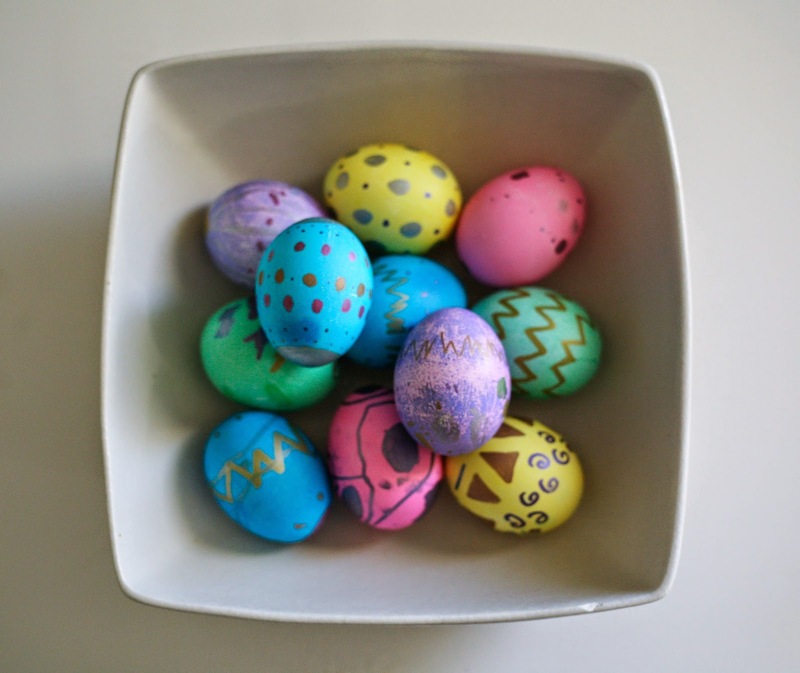 Lay out newspaper or paper towels to catch the dye as the eggs dry. A little "egg drying" tip... I put my kiddos' eggs on a cookie cooling rack (lay the cooling rack on top of a layer of paper towels) to dry. See those perfect little dye pads, securely fastened to the bottom of the dye cups??? Gah... I love them! Okay, so now you have your hard boiled eggs, you have your paper towels/newspaper laid out to catch dye drips, and your egg drying rack ready to go. 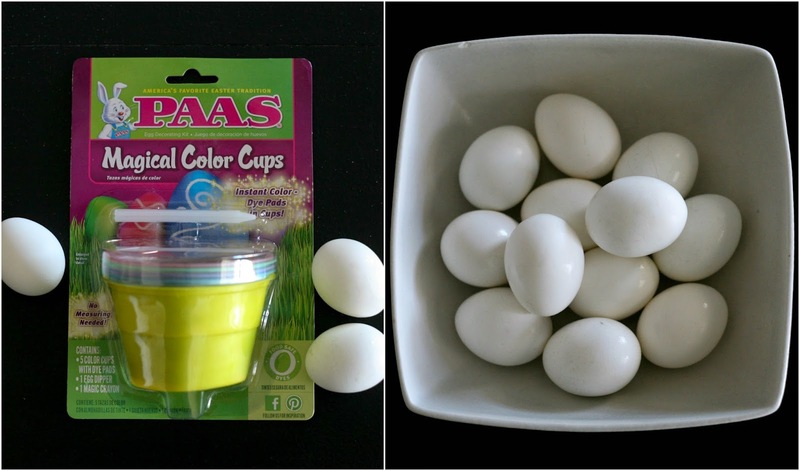 Now, you fill your dye cups according to the super simple directions on the PAAS box. 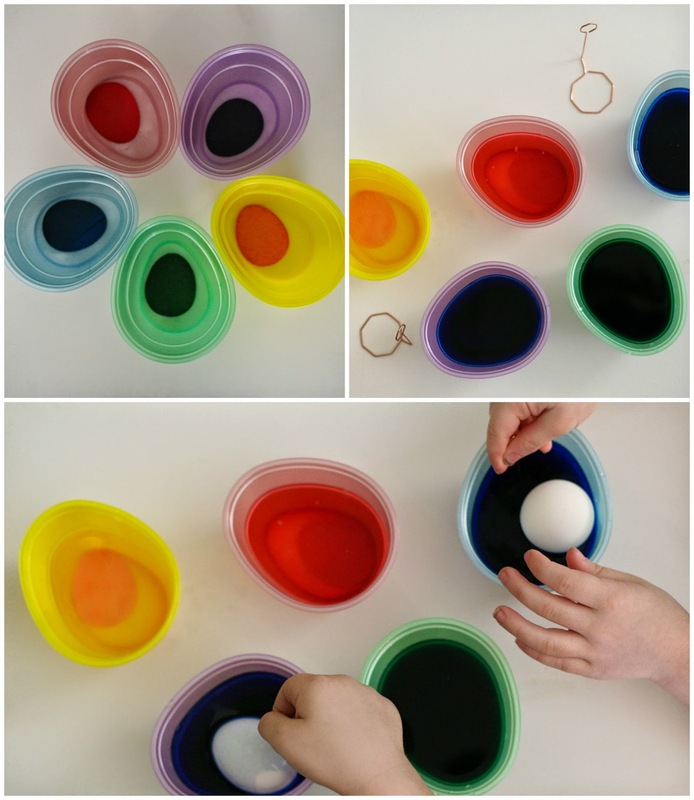 Let the dye dissolve a bit and set your kids to the task! This is the fun part, if you ask me. Allow the eggs to dry completely- a few hours should suffice. 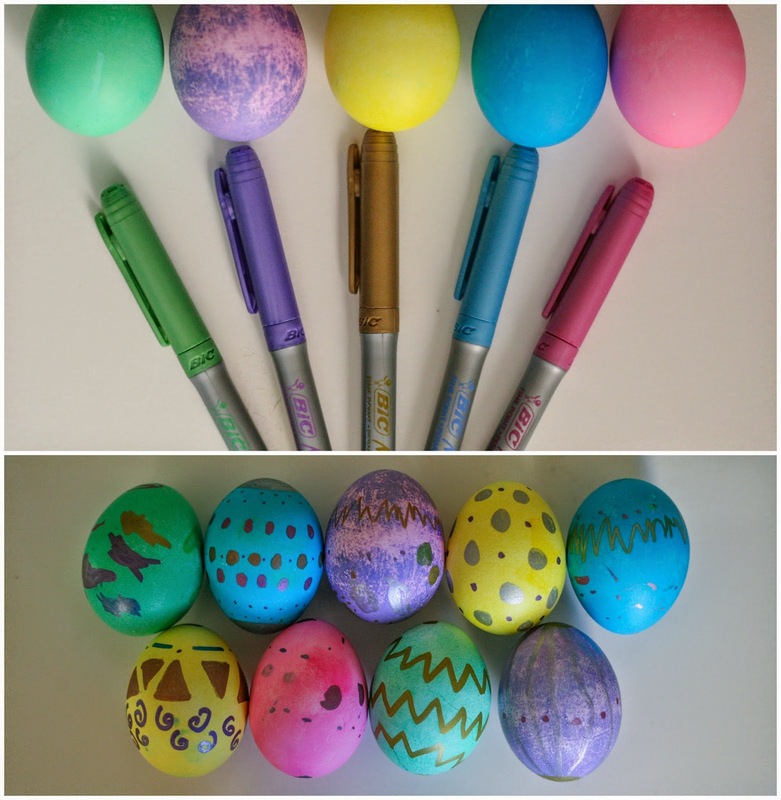 Grab some metallic permanent markers and let your kids decorate their dyed eggs. My kids did zig-zags, polka-dots, geometric shapes, and scribbles to finish off their eggs. + Put them in a glass vase/hurricane vase and make them a centerpiece to an Easter meal. + Make a little nest with twigs and place them in the middle. Put the nest on a wooden tray as a simple Easter decoration. 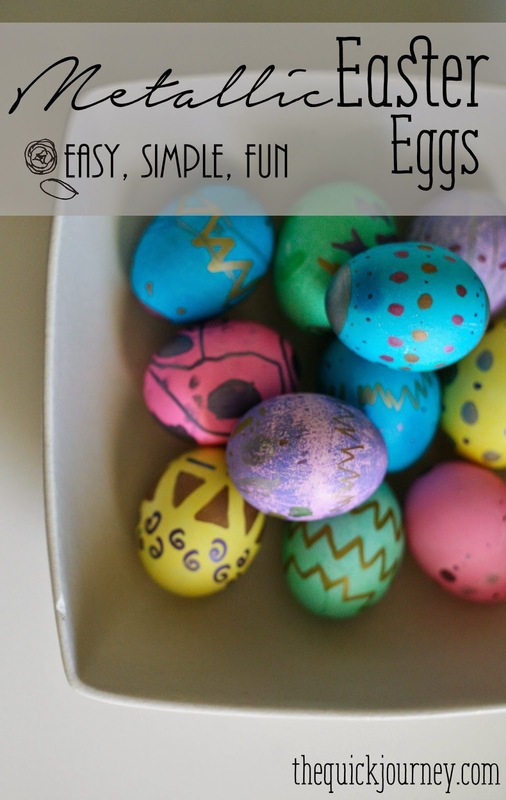 + Let the kids decorate the garden outside with these colorful eggs in anticipation for Easter! Be sure to ‘Like’ PAAS on Facebook for details about the Ultimate Egg Off Easter Egg Contest starting 3/18. You could win $1K! These look fabulous. Thanks for linking to the Do Tell Tuesday party. These look great, the kids did an awesome job!